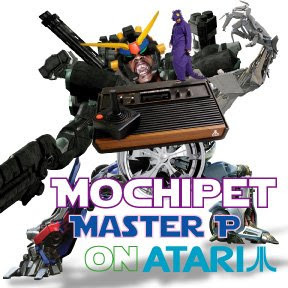 Yeah, a few months ago Mochi the Pet released a fantastic album Master P on Atari (listen here). I wrote a lengthy review back then - check my blog. He toured Europe, and we managed to invite him to Warsaw (easily the party of the year! ), sadly the photographer of the show has hidden the pictures and disappeared, we were left only with this short rave footage. The record seems to gain quite many positive reviews in the press and on blogs, and I meet this with great satisfaction as Mochipet's music is absolutely worth promoting. Thus, this short reminder for all of you and a few tracks lifted from Master P on Atari . Support Mochipet, he deserves this! !